Steve Kerr, VP of Leadership Development at GE, in 1990, on being promoted approached Jack Welch and joked I’m going to be CEO just like you. Welch responded with a laugh There’s only one of those at GE! You can be Chief Learning Officer. And here was how the World got its first (CLO) Chief Learning Officer. Fast-forward to 2017, and the Corporate is already starting to realize how important it is to have one. Gone are the days when one could have downplayed the need of any such position. Today if enterprises have weighed and most importantly understood the significance of a Learning Officer, it is for their own good. The way businesses need to educate and train employees to empower them along their career paths continuously changes. To survive and progress in such an ever-changing environment, businesses need to continually manage and upgrade their learning modules and practices. 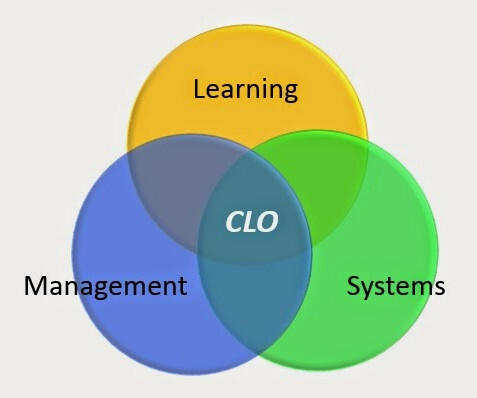 A (CLO) Chief Learning Officer could be thought of as the person in charge of the corporate learning program for a company. CLO’s help to create strategies related to training, learning and development, all within the ambit of creating and sustaining the overall corporate culture. Their responsibilities often include: Developing an organization’s educational process, promoting knowledge management, Overseeing the latest technology, promoting the importance of learning etc and to provide a global learning environment and therefore identify and engage requirements of professionals so that they deliver and sustain effectively, tasks comparable to Chief Operating Officer jobs. The reason why businesses seem to benefit from such a role is because there is always a need to educate and train employees in order to remain valid, growth-oriented and ‘set apart’ from other companies. Having a person in charge of making sure that a business is always in touch with what is going on in the world, and how to upgrade the business culture and talent pool skills successfully, makes it easier for the organization to adapt to the ‘outside’ growth. Having someone whose specific tasks include making sure that employees are constantly learning new ideas in the process of working is the only way one can strive to build and maintain a successful business. The Industries that seem to have a Chief Learning Officer include those from Human Resources training, and information technology. Recent studies done to identify the various verticals of businesses that have learning officer jobs gave some results that were not surprising as most of them came from education, learning and HR services. But an 8.5% coming from the healthcare industry surely raised some eyebrows as one would not associate hospitals with a need of a learning officer. It is evident that nearly every Fortune 50 company has a chief learning officer- even if that’s not the current title being used. But more and more, the official job title is becoming mainstream. One could imagine CLO’s tasks as important as Chief Operating Officer jobs. Therefore, It is about time that businesses and organizations take note of the ever-emerging market trends and assign that all-important task to a learning officer who in turn would make sure the enterprise stays on the right track! Was looking for post. It was eventually effective know-how. I will keep a check out for your posts for most current posts. Regards.